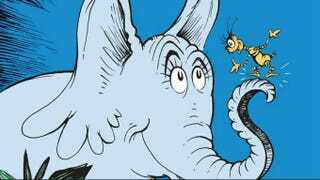 A new collection of stories from Theodor Geisel aka Dr. Seuss is set to hit shelves on Tuesday. Over the course of his research, he kept seeing references to Dr. Seuss stories that he'd never heard and at first thought were just more misinformation. A trip to the magazine archives of the Boston Public Library proved otherwise. There, in Redbook issues from the 1940s and 1950s, Cohen discovered approximately 30 Dr. Seuss stories that had never made it into books. The illustrations, though tiny, were unmistakably Seussian, as were the themes, settings, characters, morals, rhythm and rhyme of the stories. Will hit bookstore shelves on the ninth of September! In the last sixty years these tales haven't been seen. But how could it be so? What could it mean? Four more new lost stories! Not one, two or three. And a whole different Grinch for us to meet. In that wonderful Seussiverse we all love to explore.